The campaign will be backed by Seng Huang Lee and Sun Hung Kai and Co., the Hong Kong-based owner of supermaxi yacht Scallywag, and aims to promote competitive sailing in Asia and build a long-lasting youth sailing legacy in the region. Hong Kong will be a Host City in the Volvo Ocean Race for the first time in the 2017-18 edition, starting in October. ‘This campaign will showcase world class competitive offshore sailing in Hong Kong and China with the first time stopovers for the Volvo Race in Hong Kong and Guangzhou. I have every confidence that Team Sun Hung Kai/Scallywag will make Hong Kong proud,’ said Lee. Mr Lee grew up in Sydney, Australia, a stone’s throw from the start line of the iconic Sydney to Hobart Race – and it was watching the fleet leave every year for the start of the race that first got him hooked on sailing. He purchased the 100-foot yacht Scallywag, previously known as Ragamuffin, in 2016, and the team has already set numerous speed records. The entry into the next edition of the Volvo Ocean Race is the next step in Mr Lee’s long-term vision to build a strong sailing legacy in Asia, and see more Asian teams compete at international events. The team, racing a Volvo Ocean 65, will be skippered by experienced Australian sailor David Witt, who returns to the Volvo Ocean Race following a 20-year absence, after competing in 1997-98 race onboard Innovation Kvaerner – the boat led by former Volvo Ocean Race CEO, Knut Frostad. With more than five months to go before the start of the Volvo Ocean Race 2017-18, the starting grid is filling up. The race will start from Alicante on 22 October, with the fleet capped at eight One Design Volvo Ocean 65 racing yachts. Seven of them have undergone an extensive refit process after being raced in the 2014-15 edition; the eighth is brand new, built for team AkzoNobel. The 2017-18 edition will see the teams cover a total of 46,000 nautical miles in a race that features a total of 12 Host Cities – including Hong Kong – and finishes in The Hague at the end of June. 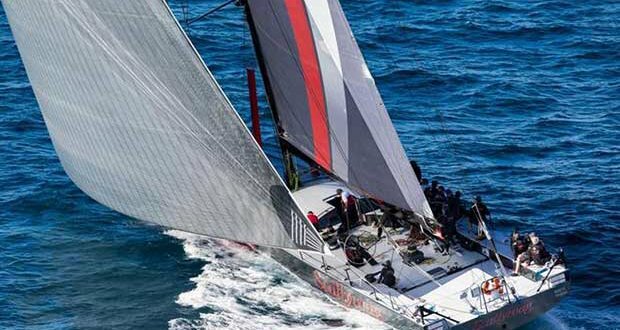 The first ever Hong Kong stopover in the Volvo Ocean Race will take place in early 2018 with the boats expected to arrive from Melbourne on 20 January. A series of races will be held in and around Hong Kong during the stopover including the In-Port Race and an Around the Island race. On 18 May, Volvo Ocean Race will announce a series of initiatives designed to position the race for the next decade and beyond. The presentation takes place at 0800 UTC in the Volvo Museum in Gothenburg, home of the race’s co-owners Volvo Group and Volvo Car Group.